Decoding Evolutionary Roots of Human Social Behavior is a review and analysis of Grooming, Gossip, and the Evolution of Language (and the human brain). Having been immersed in experiential social media since 2006, I’ve increasingly turned to evolutionary psychology to understand human behavior at a much deeper level: by studying primates, I get much closer to the root causes of human behavior, and this book was my introduction to the field. Digital social networks give their members front row seats in many aspects of human dramas, but few companies or individuals have the understanding of human behavior to appreciate fully what they are seeing. Many executives of commercial and government enterprises perceive “social” behavior as frivolous and discourage employees’ activity in social networks. This exceptional book shows that the Industrial Economy idea of the separation of “work” and “social” is dangerously out of place in the Knowledge Economy, in which collaboration among people produces the lion’s share of business value. To succeed in the Knowledge Economy, leaders need to appreciate the importance of social activity in collaboration and productivity, and how digital social networks can increase productivity. In this review, I will try to do the book justice, but I will also attempt to show how its ideas apply to digital social networks, collaboration and productivity. To use a technical metaphor, Windows has its DOS, and Mac OS X has its UNIX. In fact, Windows and Mac OS X are just interfaces that come between the core engine (DOS and UNIX) of the computer and the user, so s/he doesn’t have to have technical knowledge to run the machine. However, at critical moments, it can be very advantageous to understand certain aspects of the core operating systems. Since understanding human behavior is critical to success in virtually all human endeavors, it might be useful to understand what I’ll term as “Human OS.” This enthralling book gets way under the covers on “social” network behavior and puts it all into perspective. As such, readers come to appreciate how and why people behave the way they do. Grooming, Gossip, and the Evolution of Language, by Robin Dunbar, is one of the most relevant and fascinating books I have read this decade. It reveals “Human OS” (human operating system) in an insightful, engaging way that Dunbar backs with extensive primary and secondary research into primate behavior. I have a very practical interest in Human OS: if digital social networks like LinkedIn, Facebook, Orkut and YouTube diminish the transaction costs of certain human interactions, logic holds that tremendous insight into motivations and likely uses of the networks would be gleaned by understanding Human OS. For people who want to pop the bonnet and delve into human motivations within group dynamics in digital social networks, Grooming, Gossip, and the Evolution of Language will prove an invaluable guidebook. A tremendous plus: the book is as readable as it is revealing. As a pioneer in using digital social networks for organizational innovation, I constantly see references to “Dunbar’s Number,” which holds that humans have a practical limit to the number of acquaintances they may have in the traditional sense. Grooming, Gossip.. puts it into a rich context. But there is far more. Grooming and gossiping are core processes in Human OS, and social networks enable them in ways that confound business executives. Dunbar shows conclusively that, on average, two thirds of all human communication is “social”: talking about others and ourselves. Digital social networks are disconcerting to many because they reveal this. The most hits, the most popular videos and blog posts are often idiotic from a “serious” business point of view. Grooming, Gossip.. reveals why this makes sense, and it is a shortcut to making sense of Human OS, taking it seriously and loving it. The people and organizations that are willing to engage Human OS will succeed far more. As in all Global Human Capital book reviews, I will summarize and outline each chapter before drawing my Analysis and Conclusions below. Note that I only give the most important books this detailed treatment. My hope is that you will appreciate the review and buy the book because it makes Human OS so accessible, fascinating and useful. 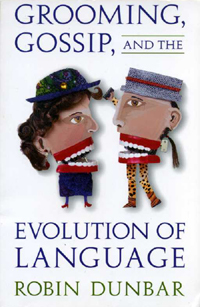 In this introductory chapter, Dunbar connects several branches of science in the service of understanding why humans have language. By mashing up evolutionary biology, anthropology, social behavior and linguistics, he leads us down a path that does not presuppose that we should have language. There should be undeniable practical reasons that we have language and large brains. Introduces “grooming” and gestures and their importance to primates in the context of social groups. Tantalizing facts about the brain: it consumes 20% of our total energy, while it accounts for 2% of our body weight. Why do we have such an expensive piece of equipment? Although dolphins have roughly the same brain/body ratio, they do not come close to humans in their language. Why? About two thirds of all human language is social in nature: who does what with whom, why it’s important or not. Dunbar shares studies that show this ratio holds true in the boardroom, on the engineering team and university professors’ lounges. He also cites publishing, newspapers. Language and linguistics have been traditionally viewed as “social” sciences, so biologists and evolutionologists stayed away; Dunbar will weave these together. Chapter Two is a crash course in the social group dynamics and economics of primates because Dunbar wants to take us on the level of Human OS, and we are primates. More depth on the role of grooming and social status. Some primate economics: finding food, human biology, how and why we were incented to grow to our body size and live in groups to reduce the risk of being killed by predators. 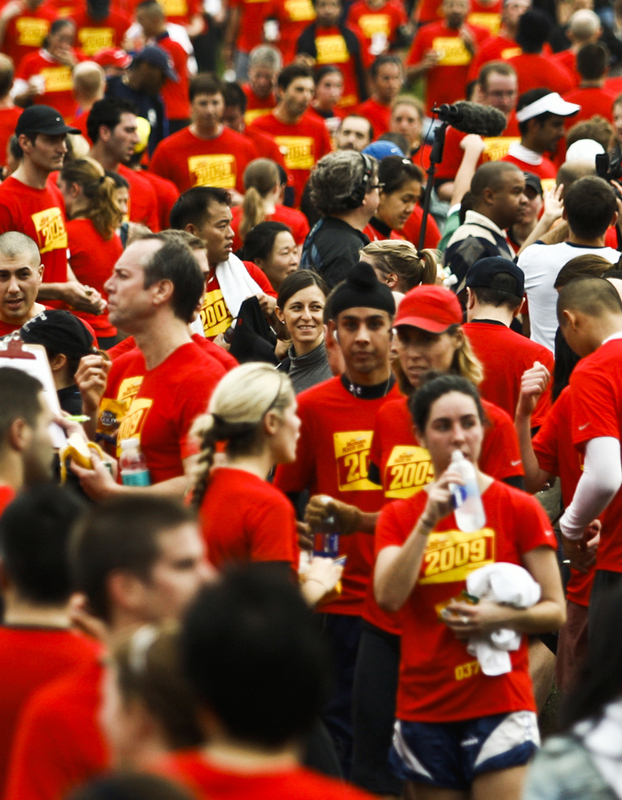 How being social is hard-wired into our DNA. The two poles: we need the group to survive, but overcrowding compels us to seek the “sanity of a solitary life.” It turns out that we manage this dichotomy by creating partnerships, coalitions and cliques. How alliances work: Dunbar shares his observations of primates in such a way that it’s easy to see the applicability to human behavior. Windows into primates’ calculus when building alliances: how primates infer and predict others’ behavior in certain situations by observing their social behavior. Quote from Chimpanzee Politics. Grooming’s role in compromises and reconciliations between alliance partners. The role of grooming in building and maintaining primates’ alliances. The link to Darwinian evolutionary theory: the ultimate pattern of “meritocracy”: reproductive success by successful adaptation to changing circumstances. Dunbar covers a lot of ground here, everything from deception within a group to grooming’s physiological effects on us to why it is so effective for maintaining alliances. In primates, how much time a pair spend grooming each other is proportional to each partner’s willingness to defend the other. Grooming is a mutually exclusive activity, and everyone sees who is grooming whom. It also turns out that grooming triggers our brains to produce endorphins (we get high); he references some interesting research to confirm the point. Astonishing fact: many primates spend roughly 20% of their time on grooming, which indicates that it plays an enormous role in their (our) well-being. The bigger the network, the more grooming required. More on the economics of group size and interaction, and harassment’s impact on reproduction. You guessed it: low-ranking females, because they are harassed by the majority of the group, experience temporary infertility due to the stress harassment produces. Mental and social intimidation are more lethal than physical abuse because the victim uses the stimulus and takes it against herself. Fertility is also reduced in males under stress. The net-net here is, large groups mean more harassment even while they afford more protection against predators. It turns out that alliances are how group members diminish harassment. Freeloading is another problem for large groups: freeloaders take something and promise to return the favor later but never do. Within large groups, they can trick and move on before they are found out. In this case, grooming is the cost of entry for alliances: by imposing a high cost in a visible behavior, freeloading is reduced. Dunbar closes by citing research that shows that many species have sophisticated communication that approaches rudimentary language (for example, specific sounds identify specific predators). Begins with an irresistible question: why do monkeys have big brains? Research on brain/body mass and Dunbar’s breakthrough, showing that neocortex size and group size have a causality. The idea: our brains are bigger because we have been forced to be social as an adaptive mechanism. Moreover, the Machiavellian hypothesis suggests primates don’t only need to remember how each member of the group relates to other members, they need to anticipate behavior given (often) hypothetical situations because they are in competition with each other, and life is about juggling goals of oneself versus others. They need to maintain a balance between numerous conflicting interests. This is a strong motor for intellectual development. Dunbar’s number, which holds that the optimal group size for humans is 150, as a function of the human brain’s capacity. Interesting property: in a group, it’s the average size of four generations of an ancestral couple’s offspring, using data from hunter-gatherer societies, using hunter-gatherer family sizes. Introduces the dilemma: bigger groups require more grooming to maintain the group’s structure, but there’s not enough time in the day to do it physically. This leads to the question: could language serve as a kind of vocal grooming? This is all about Theory of Mind (ToM) and how the brain works. ToM holds that a (person) recognizes that someone else can have different thoughts and beliefs from his own. This gets into trust and deception. Theory of Mind (ToM) applied to primates. No, humans are by no means alone here. Dunbar shares numerous hilarious and instructive examples of chimpanzees and apes that anticipate each other’s behavior in the service of competition and trickery. 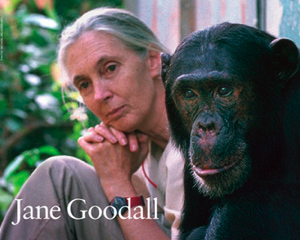 Think of the last time you observed humans observing chimpanzees, orangutans or gorillas at the zoo; there is a marvelous fascination and a connection. Grooming, Gossip.. taps into that marvel throughout. It’s filled with hilarious anecdotes of antics of our primate cousins, but Dunbar skillfully remains on task to drive the point home. How and when human children develop ToM. The cases of autism and Asperger’s to illustrate human development. The root of abstract thought and the ability to understand others. Chapter Six is spellbinding. It returns to the savannah some five million years ago and offers a more complete pass at human evolution, from the perspective of the brain (and by extension, the body): group economics, grooming and language. Dunbar cites numerous studies to make his points. The brain demands too much energy from the body: how did we accommodate the energy hungry brain (20% all energy)? There were very few choices: vital organs were, well, vital, so they would not give energy to the brain. The most expedient deal evolution could cut was with the gut (stomach and intestines). In fact, humans have much smaller guts than they should, given body size. Dunbar gives us a fascinating discussion of various primates, diets and gut sizes. We learn that “normal” human babies are born twelve months premature, as a function of brain size. However, humans had severe evolutionary constraints in their body and brain sizes that relatively large brains and small bodies (think the mother here). We needed large brains to manage large groups, but the large brain meant that some other part of our anatomy had to give up its demands, and that was the gut. The elephant’s brain is roughly the same size as ours; that’s what I mean by having a relatively small body. Compared to other species, our brain develops extensively after birth, and human babies are much more helpless than other species’. The only way the calculus worked was by changing the diet to more energy rich food that demanded less work to process. That meant meat. Notably, we ate other humans, especially early on. Interesting chart showing group size increasing during primate evolution. Surprise regarding Neanderthals. Group size revisited: discussion about discussion group sizes, location and language. Meat moved humans toward more monogamous relationships because males could only support one or two females in most cases. It also enabled humans to migrate. Cro-Magnon grew to dominate because s/he was a hunter, moved about and had a relatively diverse network when compared to Neanderthal, who stayed closer to home and had smaller networks. Here Dunbar returns to the origins of language in more detail. Some interesting anatomical details: what’s required to develop the ability to produce words? What do humans have that other primates lack? Several theories of language: song, gestures, dance. How and why language emerged: the hunting hypothesis. Dunbar’s hypothesis: female bonding and relationships were the deciding factor. 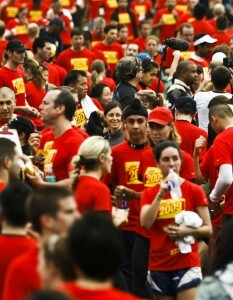 Large groups demanded that humans exchange social information about others (“gossip”) that were not in their immediate sphere so that group members could anticipate their behavior in certain circumstances (“she will go to bat for me in some situations” but not others, based on her interactions with other group members). In the immediate sphere around each member, members see each other’s interactions constantly and have to infer less about each other’s behavior (they know each other better). Think about this: although disparaged by many, gossip is about how other people act in discrete social situations with other people, which enables gossipers to formulate opinions about how the gossipees might act in future situations with them or people they care about. Gossip often seems ugly and small, but it is a vital tool for risk management and trust. Chapter Eight drills down into the development of language and dialects, as well as the practical uses for dialects. The life cycles of languages and dialects: cites studies that show that most humans today come from the same stock. Tracing major human migrations and evolutions of languages. The importance of kin selection: several studies that show that people live out Darwinian principles in two ways: reproducing themselves and helping their kin reproduce. The closer the kin, the better. Hamilton’s Rule, which describes the conditions under which one person will help another. Presents the observation that dialects develop quickly and continuously, and explores the reasons for this. Dialects are fast-moving trains. Surprise: other animals (birds) have dialects, too, and for the same reasons. The importance of dialects: they tie people to a place, time and group, and they are difficult to fake. They make it very difficult for freeloaders. They make it possible to distinguish whether a person is “one of us.” Until recently, when people were tied to a time, place and group, the incidence that they were some relation was quite high. I have discovered this when learning foreign languages. When you learn and use familiar idiomatic expressions, you quickly get promoted to another level with native speakers. It shows that you have spent considerable time in familiar groups who only use idioms with each other in more intimate situations. Note, it’s not only the expressions themselves; even more important is using them in the right context (this nuance is harder to fake). A fascinating survey of key elements of human life from an evolutionary perspective. Humans as primates and gene-bearers. This is about the stakes of survival, punctuated by interesting studies that describe behavior. Gossip: a way to flush out freeloaders and social cheats. Cooperativeness within the group is the human evolutionary strategy. Explores three purposes of language: keep in the loop about what friends and allies are doing, exchange of information about freeloaders and influencing what others think about us (reputation management). Advertising, but from a primate point of view. Dunbar cites a study he directed with these findings: both human sexes spend as much time discussing personal relationships and others’ behaviors. Out the window that “gossip” is mostly a female activity! However, males’ conversations showed an important change. In male-only conversations, art, politics and academic topics averaged 0-5%, but when males were in mixed company, these topics increased to 15-20% of topics. Conclusion, males were showing off. Further, female social conversation was dominated by networking, two thirds of their social conversation was about other people. Among males, two thirds of social conversation was about themselves. Conclusions: females are more cooperative, males more competitive because they are vying for mating opportunities. The role of hunting big game: not primarily for food, but advertising one’s genes. The role of “heroic” deeds in attracting better genes for mating. Non-verbal communication in primates. Eye contact. Smiling and laughing: its importance in group dynamics. They also release endorphins. Different types of smiles and laughs, and who typically laughs at whose jokes and why. How males and females learn accents: motivations in terms of group dynamics. The wealth of the father has traditionally had a direct correlation with the survival of the offspring. Females almost always try to marry up, so they prepare verbally for that possibility. Lower class males have fewer resources and are more dependent on their networks to provide and protect opportunity. Of course, this is all changing with dual income families, and females are now looking for males who have more domestic interests. Language as a tool for scaling grooming: can we groom at a distance by using language? Yes. “By exchanging information on (freeloaders’) activities, humans are able to use language both to gain advanced warning of social cheats and to shame them into conforming to accepted social standards when they do misbehave” (a key function of gossip and social networking, where customers increasingly keep companies in line). Chapter Ten discusses some implications of the book on how people live today, so it is less factual and more exploratory. In a sense, it is more directly relevant to digital social networks. Dunbar wrote Grooming, Gossip… in 1998, and his discussion of some “modern” modes of communication is on point. A quick tour through modern communication situations, in group dynamics. Some observation of people speaking in groups; the magic number here is four; male and female patterns; committees, conference calls. How traditions evolved to enable people to be heard in groups. Modern life, and coping with the lack of kin; people are not designed for modern life, as kin are increasingly distant. Fragmentation. Lack of kinship has a negative impact on physical health; cites studies of groups in nineteenth century London and the American west that show members with no kin present are more likely to die or be killed. Business networks in companies, and the Internet. Road rage and Net rage due to the lack of social cues. Short story about a TV production company whose productivity fell precipitously when the company changed offices; architects had eliminated the coffee lounge, which had served as the grapevine. A nice example that shows that seemingly “idle” talk is necessary for groups to function optimally. Grooming, Gossip… was written before the advent of digital social networks, so I will fuse the two together in Analysis and Conclusions. If you are interested in human behavior and motivations, I hope you can see that Grooming, Gossip, and the Evolution of Language is an immensely important and valuable book. Here I will focus the book’s implications more directly on digital social networks (hereafter “social networks”). Before delving into that, here are the critical points of the book that you need to understand to appreciate the opportunity presented by social networks. Historically, social behavior is the defining element of Human OS and humans’ key evolutionary strategy: “social” is hard-wired into our DNA. Executives who dismiss “social” networks take heed: we primates are group animals, and we owe our brain and body size to our need to be social as a means to survive. “Social” things may seem inane, but get over it, it’s how we are. Grooming is the core activity to managing our relationships, and social networks enable us to groom each other. Interactions in digital social networks are all about grooming, LinkedIn Recommendations, writing on Facebook Walls, tagging people in Facebook photos, these are all instances of digital grooming. Gossip is mission-critical to Human OS because it is our way to assess and understand the behavior of others whom we don’t know well enough to anticipate their behavior. Therefore, it is in everyone’s best interest to gossip. Social networks enable us to change some of the economics of networks because they put many of the mechanisms Dunbar describes online, enabling the digital multiplier. For a business treatment, see How Social Networks Make Markets More Efficient for Buyers and Sellers. Social networks are one of the most disruptive phenomena to emerge in modern society because they raise the prospect that people can fundamentally change the number and nature of their relationships. They may prove to be a significant upgrade to Human OS. Language was a tool that enabled people to scale their grooming activities and expand their networks (we jumped to another S-curve), and social networks represent a new tool that will lead to even larger networks. Social networks are a digital mirror of Human OS in action, and they expose many aspects of the full spectrum, from “flattering” to “pretty seedy” ,-). I don’t think many “serious” people would like to admit that two thirds of human interaction is gossiping, silly jokes and verbal grooming. This confronts us with who we are versus how we want to see ourselves. As Clotaire Rapaille explains passionately, we make decisions with the reptilian brain and justify our decisions with the cortex (intellectual). While reading Grooming, Gossip.. I kept thinking about this; one of Rapaille’s key points is that we like to think of ourselves as rational people, but we are actually quite instinctual and emotional. Although Dunbar does not discuss at length “levels” of networks within the 150 limit, he states that we use social information to infer potential behaviors of people. The further away from us, the looser the tie and the more we must infer. Social networks will enable us to have much larger networks of loose connections. However, as Dunbar persuasively points out, the human brain remains the bottleneck to expanding our networks. It has a limited capacity to learn and maintain information, social information, trust and relationship about people in order to maintain much larger networks. Remember, social information is filled with nuance and complexity, so I doubt that computers will be able to help to scale Dunbar’s Number in the near term. How can a machine help individuals to ascertain whether another person is trustworthy under specific circumstances? That’s what gossip does for us. That said, there is a significant opportunity to create larger networks of relationships in different categories (also see Countering Social Networks’ Unique Challenges with the Relationship Life Cycle). LinkedIn, Facebook, MySpace, Friendster, Orkut, Xing, Cyworld, Qzone and others have certain features that seek to automate social behavior that their members want, and many executives see this proposition as silly or superfluous. The networks are in a highly competitive race to attract people with Groups, Discussion Boards/Forums, Profiles and others that enable them to have more social interactions. Dunbar’s book shows that social networks get to the core of human behavior and survival. Social grooming is committing ourselves to others in certain situations by “stroking” them and letting them stroke us, usually in full view of others, who extend the scene via gossip. This releases endorphins. Grooming is so important that evolution has given us a little “kicker” to encourage the behavior. Social networks scale this incredibly; if you send someone an email thanking him/her, that is a one to one communication; however, if you thank him/her by writing on his/her Wall, all your Friends and his/her Friends see it, too. Depending on the intimacy of the thank you, it can be more valuable to write on the Wall. I also hope Dunbar’s work causes you to doubt that “social” behavior, especially on social networks, is inherently narcissistic, as many people have claimed. Of course, like other modes of behavior, it can be, but not necessarily. For more on social networks, groups and business strategy, see Geography 3.0: What It Is and What It Means. Grooming, Gossip.. shows that people use social interaction to determine how much and under what circumstances they can trust one another. When used correctly, social networks can lower the cost of trust. Dunbar’s and Rapaille’s work suggest that personal interactions get to trust far more quickly than “business” interactions. I’ll hazard that social topics can be a useful window into someone because people may be more off-guard when telling jokes than when having a business conversation. “Social” is serious business if you want people to feel comfortable with each other to trust each other enough to collaborate. Of course, gossip is all about politics, which Dunbar doesn’t cover in great detail. The gossiper is presenting the gossipee in a certain light, which may be quite distorted. It requires even more brain power to decipher and use the information gossip provides. Adam Christiansen shared an interesting IBM case study in which project team members who shared social information (i.e., family photos, cricket discussions, favorite music) with each other on Beehive (a digital social network) became productive close to twice as fast as control groups that didn’t share information. Grooming, Gossip.. shows why this is pervasively true with people in all cultures. When people are seemingly “goofing off” and gossiping, they are really learning where they stand with each other and other people. Huge implications for collaboration and productivity. Social network platforms are designed to let us gossip and share social information about each other, and they break the mold here. Scaling social information will prove disruptive in every area of society. Grooming, Gossip.. provides the context for appreciating social networks’ transformational power. Profiles enable us to create a platform for our reputations in front of millions. We present ourselves as we want to be seen. Many platforms let other people gossip about us on our profiles (i.e. the Facebook Wall). Networks (of Friends, Connections…) are online and visible under certain conditions. They are explicit at an unprecedented level. Often, social information around the relationship is also viewable. Updates and Blogs allow us to manage our reputations, instant by instant. Twitter, Facebook, MySpace and LinkedIn enable others to contribute by writing on Walls, commenting on LinkedIn Status Visibility, retweeting, etc. Blogs enable tremendous interactivity about expressing and reporting about everything. Groups, in all social networks, enable us to create private and public groups for anything. Notably, they significantly reduce the cost of interacting around any topic. Photos and videos are rich media tools for sharing grooming, gestures, activities and moments. These are great tools for social grooming and, since they are scalable, they have tremendous promise.